From medical breakthroughs to storytelling in virtual environments, our world is being transformed by coupling big ideas to the collection, analysis, and application of big data. USC has long been at the forefront of this innovation, exploring what it can mean for business, science, technology, medicine, and the arts and entertainment. Join us in Shanghai—China’s center for business and entertainment—as we examine cutting-edge innovations that are already changing the world and the opportunities they present for the future. President Nikias honors Ming Hsieh for his tireless contributions to the university as a Trustee. The 2015 USC Global Conference drew to a close in Shanghai tonight with the Gala Dinner in the Grand Ballroom at the Grand Hyatt Shanghai. President C. L. Max Nikias honored USC Trustee Ming Hsieh for his role as co-chair of the event and for his overall contribution to the university. Jerry Ye discusses the development of movie industry in China as Dean Elizabeth Daley and David Hutkin listen. China’s film industry has come a long way in the last 10 years, but it takes a long time to cultivate an ecosystem. That was the consensus in a panel on the resurgence of China’s film and media industry at the 2015 USC Global Conference in Shanghai. Nanjing Massacre survivor Zhi Qiang Chang tells his story. When Zhi Qiang Chang was nine years old, he watched as Japanese soldiers killed his mother, father and four of his siblings. He was able to save his 12-year-old sister, but he has carried the personal toll of that experience his entire life. According to Bob Iger, chairman and chief executive officer of the Walt Disney Company, innovation extends beyond the “how” and “what.” “Where” is also an essential part of the equation. And right now, China is where it’s at. 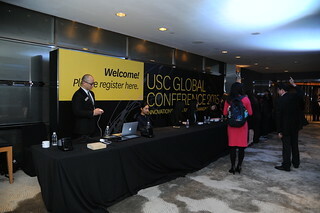 The 2015 USC Global Conference opened at the Grand Hyatt Shanghai tonight with a record attendance of more than 700 registered attendees at the welcome dinner to start the event. Guests were treated to special performances by local artists and USC students. The 2015 USC Global Conference will include significant participation by entertainment executives from the United States and China representing every facet of the industry, including Bob Iger, Jerry Ye, David Hutkin, Ron Meyer, Ruigang Li and David U. Lee. 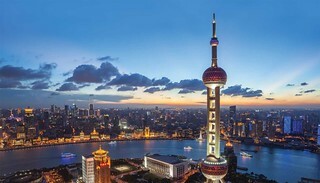 The 2015 USC Global Conference will take place in the city of Shanghai, China, at the Grand Hyatt Shanghai located in the world famous Jin Mao Tower on October 29 – 31, 2015. The conference will start on Thursday night with an opening dinner for attendees to gather, network and launch what is sure to be the best USC Global Conference ever. Hony Capital, a leading private equity firm in China focused on investments in the consumer sectors, advanced manufacturing, healthcare and services. Apple Foundation, “Sharing Achievement and Spreading Happiness”, has invested more than 48.3 million yuan in programs focused on education and healthcare to farmers since 2003 and works in partnership with local governments and PLA. Antaeus Group is a prominent Beijing real estate development company. Antaeus Group has successfully developed 2 million square meters of real estate in China and has recently branched out into the entertainment industry. CYTS Haijiang Investment and Development Co., Ltd. is focused on commercial real estate investment, development and management. Fubon Bank in China is an unparalleled financial services platform, it is also a major subsidiary of Fubon Financial in Taiwan. Philanthropists Mr. and Mrs. Ronnie C. Chan (Trustee and MBA, ’76) have a long history of support to USC. Their recent historic endowment gift established the USC Mrs. T.H. Chan Division of Occupational Science and Occupational Therapy. East West Bank is one of the top-performing banks in the United States. With access to both the U.S. and Greater China markets, we are ready to be your financial bridge to new opportunities. Since 1956, KABUL INTERNATIONAL GROUP has diversified its business and is now global leader aiming to raise the value of life in various fields; automobile, material, construction, textile, environment and medical. Konew Financial Express Limited, the market leader of property financing in Hong Kong, offering financial and insurance services. Chungnam Group of Companies is a global corporation of technology, manufacturing, and retailing. Chung Nam has six core businesses: Chung Nam Watch, CN Innovations, CN Convergence, CN Fashion, CN Lifestyle, and CN Creations. A world-class advanced materials supplier, Eternal Materials delivers a diverse range of products to market, from paint, healthcare, and consumer electronics, to green energy application. Founded in 1962, MANDO has led the success of Korea’s auto industry with endless technological innovations. And now, MANDO is a global auto parts company with “Best in Class Technology” that is proudly competing in the global market. The Pioneers of GEMBA! GEMBA I earned their USC Marshall MBA degree in 2006. They have continued to distinguish themselves widely since. Proud to support the Global Conference, they remain Trojans, lifelong and worldwide. Fight on! Established since 1959, Salon Films, with extensive experience and innovative exploration, is one of the leading film company in Hong Kong and provides various film production services and creative media plans, covering Asia and worldwide. We GEMBA IIIs began our journey in 2006 and graduated in 2008. We continue to demonstrate business and community leadership throughout the world. 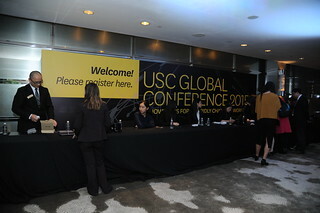 Like many other GEMBAs, G-3 graduates are delighted to support the USC Global Conference. We are proud to be Trojans, lifelong and worldwide. Fight On! Eastern Technologies Holding Limited, a global leader in the audio industry for consumer, professional, automotive and commercial applications. B & L Group, Inc. is a private American owned international project management and consulting company based in Shanghai with extensive experience in China in the areas of management, design, engineering, procurement and construction. USC’s Global Executive MBA in Shanghai (GEMBA) – the Credibility You Seek, the Transformation You Need – uniquely powerful curriculum and faculty team, remarkable diversity among classmates and the most powerful alumni network in the region. Founded in TAIWAN, HCG dedicates its 84 years in manufacturing bathroom fixtures, and now is the only one original Chinese brand among TOP 10 sanitary ware groups in the world. Pullman is the high-end international chain of the Accor group, the world's leading hotel operator, present in 92 countries with some 3,700 hotels. Pullman Hotels & Resorts services a cosmopolitan traveler in the world’s top destinations. The IBEAR MBA is a top-ranked, full-time, one-year, accelerated program for global, mid-career professionals. USC Global Executive MBA, Class of 2010, GEMBA V, are honored sponsors. The amazing experience has built lifelong friendships and has catapulted our professional careers in China and beyond. We could not be more grateful. Fight On! Founded in 1999, the USC Alumni Club of Shanghai hosts events an annual charity gala, entrepreneurship forum, networking mixers, business luncheons, SCendoff, football game viewings, and Day of SCervice for nearly 1,000 registered alumni. Synopsys, Inc. is the Silicon to Software™ partner for innovative companies developing the electronic products and software applications we increasingly rely on every day. Learn more about the world’s 16th largest software company at www.synopsys.com. GEMBA VIII are proud to be members of the Trojan Family. Our journey began in 2011 and continues lifelong and worldwide, as since our 2013 graduation we’ve remained active members of the Family, joining the many activities in Shanghai and beyond. Fight on!